Our inbound marketing services begin with a comprehensive discovery and assessment program. This allows us to form a comprehensive inbound marketing strategy that will deliver the success you need. This strategy incorporates many marketing techniques, including content marketing, outbound marketing, SEO optimization and automated marketing. Experts often debate about which is the best approach between inbound marketing and content marketing – or even between inbound marketing and outbound marketing. In our view, all three go hand in hand and serve an important purpose when it comes to driving sales revenue from your online brand presence. HubSpot has also been teaching that trying to consider them independently is counterintuitive because you cannot do one without the other two components. Inbound marketing is more of a philosophy than a specific marketing tactic. It’s about attracting through excellent content and thought leadership that is expressed and shared online. Content marketing is a subset of inbound marketing. It requires superbly written and designed content that stimulates engagement and sharing among your target audience. Marketing automation allows the entire process to work seamlessly. How does Inbound Marketing REALLY Work? Unlike traditional marketing, which can be interruptive, intrusive and ineffective, inbound marketing brings the leads and customers to you. An effective inbound marketing strategy understands your audience and attracts, converts and closes your site visitors by providing them with content and information that aligns with their pain points and gives them exactly what they are looking for. Since 80 percent of B2B purchase cycles are completed before the buyer contacts sales, you must change how you market to potential buyers in order to effectively grow. Each inbound marketing engagement begins with our exclusive discovery & assessment process that allows us to generate a strategic buyer’s insight evaluation and comprehensive marketing blueprint. While every plan is unique, they all share some of the same goals. Search engines (particularly Google) are constantly being updated and refined to rank the most authoritative, trustworthy sites out there. The management of your on-page SEO is the foundation to having a high performing site - you have to get this part right. Getting new eyes on your website is critical if you are going to grow your market. These new website visitors need to reflect your targeted buyer personas. To accomplish this, EYEMAGINE implements a number of demand generation strategies including content creation/distribution, paid advertising, social engagement and influencer marketing. A custom content marketing plan - and its deliverables - is designed to publish and distribute high-quality content. Its purpose is to attract ideal website visitors and convert them into customers. It also works to engage other industry thought leaders who are in a position to become brand advocates. Performance SEO is when search engines reward high-quality, regularly-updated content (e.g. blogging and premium content) and backlinks from authoritative sites. 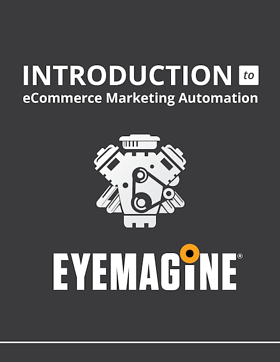 EYEMAGINE has developed an approach to performance SEO that search engines have rewarded. The world revolves around social media. To earn a place in the hearts of your prospects, then, you need a comprehensive program that engages, enlightens and entertains your targeted audience. EYEMAGINE has the program that will deliver this effective social media strategy. Meeting goals and milestones for qualified leads that ultimately convert into customers will determine the success or failure of your marketing efforts. EYEMAGINE optimizes this process through event and behavioral lead scoring to ensure that the most relevant workflows are being shared with each prospect. Inbound marketing is a process that requires the right marketing automation and analytics tool. We would strongly recommend using HubSpot – enterprise level Content Optimization System (COS) to perform these functions. 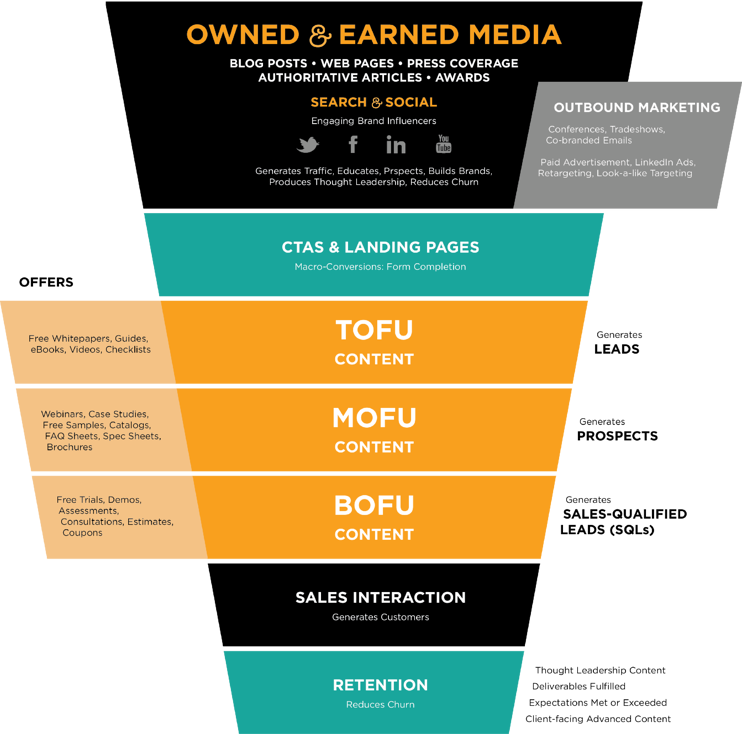 Why HubSpot for Inbound Marketing? While EYEMAGINE can expertly utilize many different marketing automation platforms, we recommend HubSpot simply because it delivers the best results for our clients. Learn more about the benefits of HubSpot here. HubSpot is a complete inbound marketing platform, meaning that all of the tools you need can be found in one place, meaning your customers will receive fully integrated email, social and web experience. Even more importantly, HubSpot allows the lead to get a truly personalized experience when they visit your site. HubSpot also facilitates contextual marketing for each of your buyer personas. Specifically, the platform allows you to target and customize your messaging for different buyer personas and all stages of the sales process. This means when a visitor returns to your website, they would get a browsing experience that is unique to their particular interests and stage in the buyer's journey. Additionally, the use of progressive smart forms helps eliminate barriers in getting prospects to engage on your site. HubSpot contains a multitude of features that will not only facilitate the best inbound marketing practices, but also provide the necessary analytics tools to create actionable insights. If you want to achieve optimal results, you need the right tools.